The first day of fall is here, so that can only mean one thing… Your local Starbucks drive thru line is 20 cars deep and snarling traffic. All this so you can post a picture of your first Pumpkin Spice Latte of the year on Instagram. Well, I have some even better news that is about to rock your world. 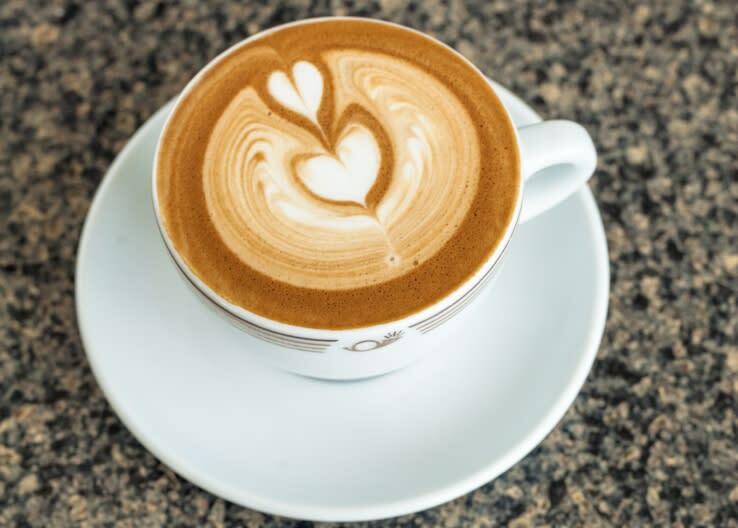 According to KC Coffee Geek, we have one of the best coffee scenes in the country. What does that mean for you? This means we get to reap the benefits of excellent, locally roasted coffee. 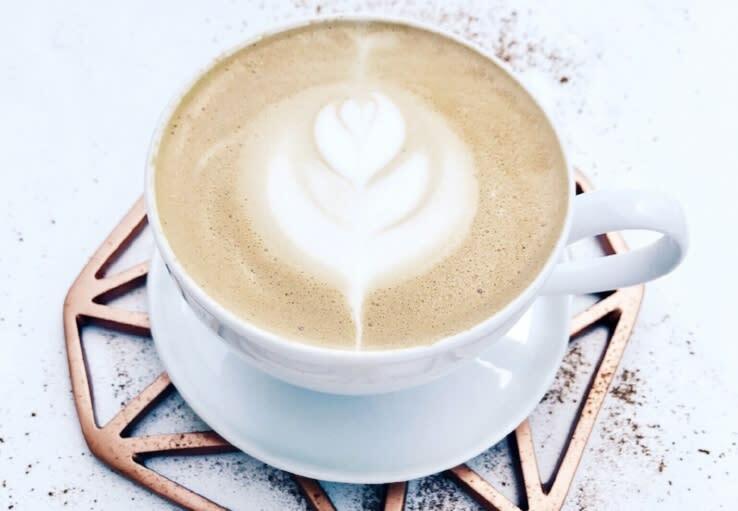 Explore the local coffee shops this fall that we listed below and try the specialty drinks they have whipped up for you. Do you have other favorite fall drinks that we missed? Let us know! There is no better way to start out this list than with a latte that has bourbon in it’s name. The Bourbon Caramel Latte that McLains Market has created is flavored with their new, house made bourbon caramel sauce. Don’t worry though, the bourbon is cooked out, leaving behind a nice hint of Buffalo Trace. For all of the faithful Revocup followers, the Pumpkin Pie Latte is now here. For those of you who haven’t tried this, you will be impressed. If you have had dreams of taking leftover pumpkin pie from Thanksgiving and figuring out how to drink it, consider your problem solved. Vegan’s rejoice. You too can participate in the fun of fall drinks. Mud Pie has a vegan Pumpkin Spice Latte, made with their own house made syrup and milks. If you aren’t familiar with Mud Pie, you can now find them in Overland Park at the SW corner of 95th and Metcalf. What happens when you take Shatto’s banana flavored milk and give it to a barista who has ginger bread syrup with an endless supply of espresso? You get One More Cup’s Banana Bread Latte. If you are looking for a fall drink that won’t keep you up all night, they will also be featuring a Hot Caramel Apple. This is apple cider that gets steamed with a caramel syrup, giving you the liquid version of a caramel apple on a stick. Nothing says autumn more than cardamom, ginger, and maple. Turns out, those are the three ingredients in the Autumn Spice Latte at Homer&apos;s. I take that back, there is also espresso and milk in it, but you probably guessed that. If that doesn’t sound like a Pumpkin Spice Latte, it’s because it isn’t. This is the seasonal whole bean offering at Thou Mayest, and is perfect for those of you who prefer to drink your coffee via pour over, or want to take home a bag and experience this coffee from your house. The flavor notes of this are juicy, complex, and orange caramels. This limited edition release is a limited quantity and will go fast. Since this was a 2017 limited release, check in to see what Thou Mayest&apos;s seasonal roast is. You will thank us later for this one. Messenger Coffee opened their café at 1624 Grand last fall, and I have three words for you. Green. Dirt. Latte. This drink will feature a house made caramel sauce, while incorporating Green Dirt Farm’s Rosemary Fresh Cheese. If you aren’t familiar with Green Dirt Farms, it is a small sheep dairy farm and creamery in Weston. Don’t turn your nose up at this combination, these guys at Messenger know what they are doing. 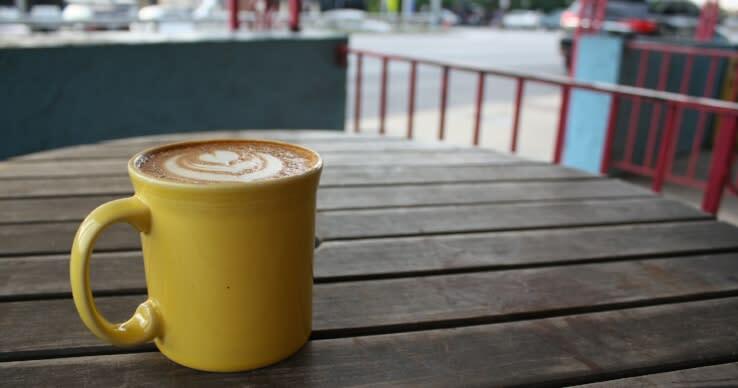 With all of these great options, you are bound to find a new favorite coffee spot in KC|OP. If you need some food to go along with that coffee, be sure to check out our KC|OP brunch spots, and once you get your fuel for the day, explore one of these Overland Park fall events.